The OMR software can generate results in different formats and these results can be uploaded on the website or sent via email. There is an additional feature of sending the results which is by SMS. You can use this feature of sending SMS through the software. 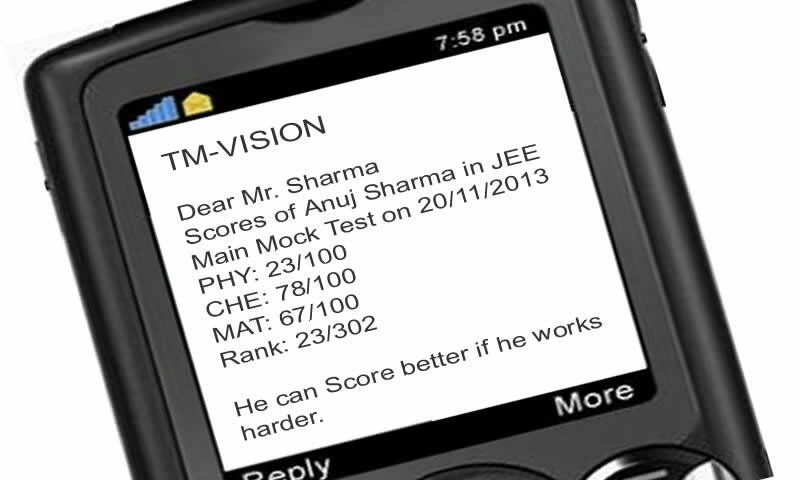 You do not have to waste time in typing the SMS for sending it to each and every student. With just one click, you can send hundreds of SMS in a few seconds. Promotional SMS service: Here, you can send news about new offers, packages, announcements, etc. This SMS service doesn’t apply to DND members and has a time limit between 9 AM to 9 PM. It is delivered using a random 6 digit sender ID (TM-612345). Transactional SMS service: This is used to send results, attendance, fee reminders, batch timings, etc. This can be sent to registered members including those subscribed to DND. Here, the sender ID is (TM-Addmen). What is the Bulk SMS Price? The SMS sending facility is free of cost but there is a charge for the SMS credits. We offer several SMS pre-paid packs in packages of 25000, 50000 and 100000. The price of the SMS is different for different package. The more SMS credits you purchase, the lesser would be the price of per SMS. If you don’t wish to buy the SMS credits from us, you can use any SMS service provider for sending the results through SMS.